The production at FELSAN includes a wide variety of transformations on piping and profiles to offer a totally finished product, using the most advanced technology. Control, traceability, quality, subcontrators and logistic is monitorized by our network. Totally automated cutting process of pipe or profile. Bending with latest generation numerical control systems (CNC – DNC). System of interior piping cleaning, “Jet cleaner” system. Fully Finished product delivered with end protection. TIG, MAG, MIG, brazing, spot welding systems, etc. Assembly and Incorporation of connectors, sealing rings, etc. Individual identification with part number by micro-percussion. 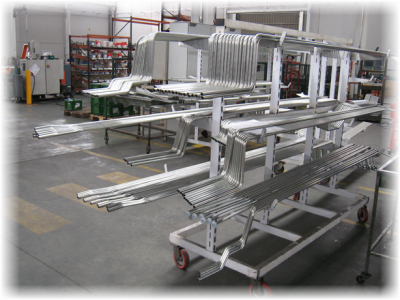 Design and manufacture of tools, and mechanical, hydraulic and pneumatic equipments. Cold-drawn seamless steel EN-10305-1, EN-10305-4 / DIN2391). 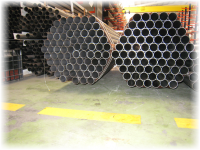 Cold-drawn welded steel (EN-10305-2 / DIN2393 y EN-10305-3 / DIN2394). 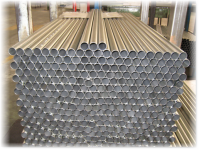 Stainless steel (AISI-304, AISI-316, AISI-321, etc.). Brass and other special materials (titanium, alloys, etc.). Rectangular and Square Electric Welded Precision Steel Tubes (EN-10305-5 / DIN 2395). -Zinc plating (hexavalent chromium free coating). Gasoil circuits in diesel engines. Combustible Gas conduits (urban buses). Air conditioning and heating circuits. Engine cooling circuits and INTARDER cooling (Ø50 / Ø60 / Ø70 mm). Hydraulic steering, elevation circuits, etc.